When you buy or rent a property it is important to know what both you and the landlord are responsible for when it comes to the terms and conditions of the rental agreement. As a tenant you are responsible for the general day to day upkeep of the property, i.e. : making sure it is kept clean, tidy and where possible odour and damp free, paying your rent on time, making sure that you are respectful and considerate to those living around you, and also the paying of all bills as laid down in your tenancy agreement. What are a Landlord’s Responsibilities? There may be other things that your landlord is responsible for but these will be specific to your landlord and the terms of his or her tenancy agreement with you. Just as you have certain rights which will be detailed within your tenancy agreement so to does your landlord. And he or she may have to call upon these should the terms of their tenancy agreement with you become void through any fault of yours. Obviously the tenancy agreement is there to protect all parties concerned and if necessary your landlord can call upon this if he or she thinks there are grounds to. This can be one of the most common problems a landlord faces when he or she leases a property. It is of course not always the case that the problems with rent paying tenants are genuine. Unfortunately some tenants will refuse to pay rent if there is damage to the property that they believe the landlord is responsible for. Again this comes down to the terms and conditions laid down in your tenancy agreement. The landlord will specific what kind of damages he or she will have liability for and these will normally include damage to doors, windows and the roof. The landlord will also cover the cost of repairs to heating such as radiators, fires and boilers etc. It is worth noting for example that if you were to have a fit of rage and perhaps break a window or door then you would be responsible for this yourself and not your landlord. Before making the decision to stop paying rent you should consult your tenancy agreement and make all attempts possible to resolve the underlying issue. If you simply decide not to pay rent then your landlord can move to have you removed from the property. This will be documented in your tenancy agreement and your landlord is well within their rights to do so if you persistently refuse to pay. If you have agreed to take on the tenancy of a property and have deliberately mislaid the landlord then he or she can ask you to leave. This can apply if you have a criminal history that may have some impact on your neighbours or if you have told the landlord that you live alone and then move someone in with you. 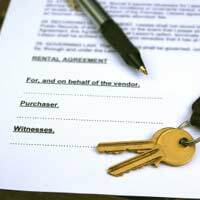 If you move someone into a property with you after telling the landlord otherwise then he or she can seek legal advice which may result in the decision being made that you are ‘sub-letting’: sub-letting means that you are taking money from someone to live in the property that you are already renting. Your landlord has a responsibility not only to you but also to those living around you and as such if your neighbours make complaints as to noise levels, unsavoury or unbecoming behaviour then he or she must follow these complaints up. Again because your landlord will be operating with the approval of the Local Authority he or she must act in the interests of those living under the auspices of the Local Authority. If your behaviour leads to noise pollution, the dumping of rubbish, bullying or harassing, or behaviour which is generally regarded as anti-social then your landlord can reasonably ask you to vacate the premises under the terms and conditions of your tenancy agreement. As a tenant you can get more information and advice from your local Citizens Advice Bureau and as a landlord you can receive more information and advice from your Local Authority. In addition there are solicitors who specialise in landlord’s rights and it may be worth employing the services of such a solicitor if problems with your tenants arise.